This is absolutely the stupidest paper I have ever seen published. What might cause Judith Curry to make such a statement about Internet Blogs, Polar Bears, and Climate-Change Denial by Proxy? Below are some notes that illustrate what might be considered stupidity. The US National Oceanic and Atmospheric Administration (NOAA) and National Aeronautics and Space Administration (NASA) both recently reported that 2016 was the warmest year on record (Potter et al. 2016), followed by 2015 and 2014. Currently, 2017 is on track to be the second warmest year after 2016. The theory is that rising greenhouse gas levels are leading to warming. The major greenhouse gas is CO2, supposedly accounting for about 75% of the impact. There should, therefore, be a clear relationship between the rising CO2 levels and rising temperatures. The form that the relationship should take is that an accelerating rise in CO2 levels will lead to an accelerating rate of increase in global average temperatures. Earlier this year I graphed the rate of change in CO2 levels from the Mauna Loa data. The trend over nearly sixty years should be an accelerating trend. Depending on which temperature dataset you use, around the turn of the century warming either stopped or dramatically slowed until 2014. A strong El Nino caused a sharp spike in the last two or three years. The data contradicts the theory in the very period when the signal should be strongest. Only the stupid would see record global average temperatures (which were rising well before the rise in CO2 was significant) as strong evidence of human influence when a little understanding of theory would show the data contradicts that influence. Believing that human activity is a significant contributing factor to rising global temperatures does not mean one believes the majority of warming is due to rising GHG concentrations. Only the stupid would fail to see the difference. Further, the results were a subset of all scientists, namely geoscientists. The reported 97% consensus was from a just 79 responses, a small subset of the total 3146 responses. Read the original to find out why. Expressing a position does not mean a belief. It could be an assumption. The papers were not necessarily by scientists, but merely authors of academic papers that involved the topics ‘global climate change’ or ‘global warming’. Jose Duarte listed some of the papers that were included in the survey, along with looking at some that were left out. It shows a high level of stupidity to use these flawed surveys as supporting the statement “The vast majority of scientists agree that most of the warming since the Industrial Revolution is explained by rising atmospheric greenhouse gas (GHG) concentrations“. Mispresenting surveys about beliefs are necessary because the real world data, even when that data is a deeply flawed statistic, does not support the belief that “most of the warming since the Industrial Revolution is explained by rising atmospheric greenhouse gas (GHG) concentrations“. Even if the survey data supported the statement, the authors are substituting banal statements about beliefs for empirically-based scientific statements. This is the opposite direction to achieving science-based understanding. Despite the growing evidence in support of AGW, these blogs continue to aggressively deny the causes and/or the projected effects of AGW and to personally attack scientists who publish peer-reviewed research in the field with the aim of fomenting doubt to maintain the consensus gap. The to the extent that a consensus gap exists it is between the consensus beliefs of the climate alarmist community and actual data. Scientific support from claims about the real world come from conjectures being verified, not by the volume of publications about the subject. Because they can reliably catch their main prey, seals (Stirling and Derocher 2012, Rode et al. 2015), only from the surface of the sea ice, the ongoing decline in the seasonal extent and thickness of their sea-ice habitat (Amstrup et al. 2010, Snape and Forster 2014, Ding et al. 2017) is the most important threat to polar bears’ long-term survival. That seems plausible enough. Now for the evidence to support the conjecture. Although the effects of warming on some polar-bear subpopulations are not yet documented and other subpopulations are apparently still faring well, the fundamental relationship between polar-bear welfare and sea-ice availability is well established, and unmitigated AGW assures that all polar bears ultimately will be negatively affected. There is a tacit admission that the existing evidence contradicts the theory. There is data showing a declining trend in sea ice for over 35 years, yet in that time the various polar bear populations have been growing significantly, not just “faring well“. Surely there should be a decline by now in the peripheral Arctic areas where the sea ice has disappeared? The only historical evidence of decline is this comment in criticizing Susan Crockford’s work. For example, when alleging sea ice recovered after 2012, Crockford downplayed the contribution of sea-ice loss to polar-bear population declines in the Beaufort Sea. There is no reference to this claim, so readers cannot check if the claim is supported. But 2012 was an outlier year, with record lows in the Summer minimum sea ice extent due to unusually fierce storms in August. Losses of polar bears due to random & extreme weather events are not part of any long-term decline in sea ice. Making a superficial point from the data to support a conjecture, when deeper understanding contradicts it. This is the case with the conjecture that rising GHG levels are the main cause of recent warming. Clear misrepresentation of opinion surveys. Even if the opinion surveys were correctly interpreted, use of opinion to support scientific conjectures, as opposed looking at statistical tests of actual data or estimates should appear stupid from a scientific perspective. Claims that a consensus gap between consensus and sceptic views when the real gap is between consensus opinion and actual data. Claims that polar bear populations will decline as sea ice declines is contradicted by the historical data. There is no recognition of this contradiction. I believe Harvey et al paper gives some lessons for climatologists in particular and academics in general. First is that when making claims crucial to the argument they need to be substantiated. That substantiation needs to be more than referencing others who have said the same claims before. Second is that points drawn from referenced articles should be accurately represented. Third, is to recognize that scientific papers need to first reference actual data and estimates, not opinions. It is by comparing the current opinions with the real world that opportunities for advancement of understanding arise. Fourth is that any academic discipline should aim to move from conjectures to empirically-based verifiable statements. I have only picked out some of the more obvious of the stupid points. The question that needs to be asked is why such stupidity should have been agreed upon by 14 academics and then passed peer review? Scientists such as Prof Peter Wadhams, of Cambridge University, and Prof Wieslaw Maslowski, of the Naval Postgraduate School in Moderey, California, have regularly forecast the loss of ice by 2016, which has been widely reported by the BBC and other media outlets. • 20 to 30 years from 2010 → 2040 (still to come). The 2016 prediction is now false. Paul Homewood has been looking at Professor Wadhams’ failed prophesies in a series of posts as well. Andrew Shepherd, professor of earth observation at University College London, said there was now “overwhelming consensus” that the Arctic would be free of ice in the next few decades, but warned earlier predictions were based on poor extrapolation. “A decade or so ago, climate models often failed to reproduce the decline in Arctic sea ice extent revealed by satellite observations,” he said. “One upshot of this was that outlier predictions based on extrapolation alone were able to receive wide publicity. “But climate models have improved considerably since then and they now do a much better job of simulating historical events. Professor Shepard is saying that the shorter-term (from a few months to a few years) highly dire predictions have turned out to be false, but improved techniques in modelling enable much more sound predictions over 25-50 years to be made. That would require a development on two dimensions – scale and time. Detecting a samll human-caused change over decades needs far greater skill in differentiating from natural variations on a year-by-year time scale from a dramatic shift. Yet it would appear that at the end of the last century there was a natural upturn following from an unusually cold period in the 1950s to the 1970s, as documented by HH Lamb. This resulted in an extension in the sea ice. Detection of the human influence problem is even worse if the natural reduction in sea ice has worked concurrently with that human influence. However, instead of offering us demonstrated increased technical competency in modelling (as opposed to more elaborate models), Professor Shepard offers us the consensus of belief that the more moderate predictions are reliable. 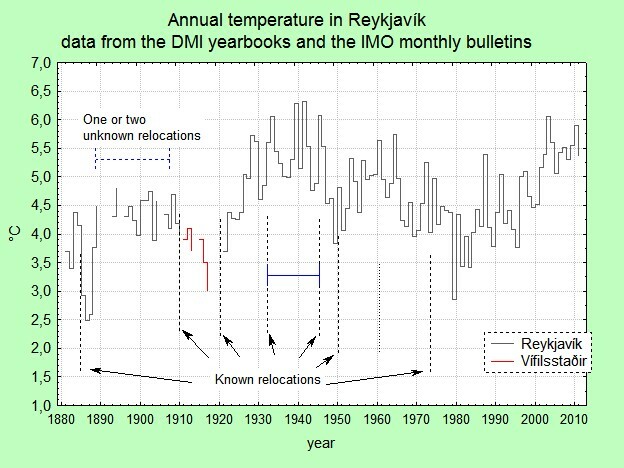 This is a clear example of degenerating climatology that I outlined in last year. In particular, I proposed that rather than progressive climate science – increasing scientific evidence and more rigorous procedures for tighter hypotheses about clear catastrophic anthropogenic global warming – we have degenerating climatology, which is ever weaker and vaguer evidence for some global warming. If Professor Wadhams had consistently predicted the lack of summer sea ice for a set time period, then it would be strong confirmation of a potentially catastrophic problem. Climatology would have scored a major success. Even if instead of ice-free summers by now, there had been evidence of clear acceleration in the decline in sea ice extent, then it could have been viewed as some progression. But instead we should accept a consensus of belief that will only be confirmed or refuted decades ahead. The interpretation of success or failure. will then, no doubt, be given to the same consensus who were responsible for the vague predictions in the first place.